Insomniac reveals three new Spider-Man suits included in upcoming DLC – AiPT! Insomniac Games has revealed new details around upcoming DLC- including three new suits. Marvel’s Spider-Man Game Director Ryan Smith has unveiled three new Spider-Man suits from the forthcoming Marvel’s Spider-Man: The Heist downloadable content on the Playstation Blog, including the never-before-seen Resilient Suit designed by long-time Marvel cover artist Gabriele Dell’Otto. Alongside the Resilient suit, players can suit up in the Scarlett Spider II Suit as well as the Spider-UK Suit, both of which can be seen in Christos Gage’s ongoing Spider-Geddon event. Dell’Otto’s Resilient Suit is the third original suit to spawn from the best-selling PS4 game, joining the default (but still awesome) Advanced Suit and the Velocity Suit designed by famed Iron Man artist Adi Granov. 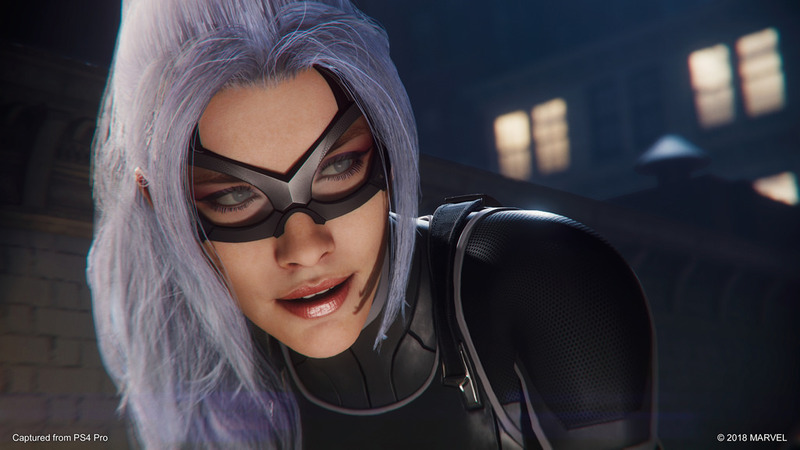 Marvel’s Spider-Man: The Heist is the first of three chapters of DLC that make up Marvel’s Spider-Man: The City that Never Sleeps series. This new story kicks off with a break-in at an art museum that brings Spider-Man face-to-face with old-fling and quasi-baddie Felicia Hardy, a.k.a. Black Cat. Aside from three new suits, Marvel’s Spider-Man: The Heist comes with new story missions, challenges, and trophies. Marvel’s Spider-Man: The Heist is available for $9.99 or players can purchase the entire Marvel’s Spider-Man: The City That Never Sleeps series for $24.99, which includes all three episodes of new content. Marvel’s Spider-Man: The Heist is available on Oct. 23. What do you think of the new suits? Will you be picking up the DLC? Let us know in the comments below!